Alot of people ask me about Lightarian Reiki. Many people know what Reiki is, but Lightarian…. to me it’s a whole different kind of energy. Many are attuned to Karuna, Usui, or Shamballa Reiki… but most don’t know there is a level even higher in vibration and intensity. 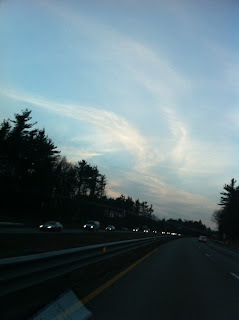 It’s called Lightarian Reiki and I offer Lightarian Reiki classes right here in Massachusetts. I myself am a Master in Shamballa, and that is supposed to be the highest vibration of energy healing… so I was never interested in doing any other kind of Reiki. In fact I was adamant about it. But as we all know… when we are called to do something or drawn in a certain way… there is no saying no. You can try! But you will always be redirected back to what it is you are being drawn to. This was the case for me. For 3 days I had Lightarian Reiki in my head… over and over again I heard these words. I kept saying, NO! I dont need it! But still the thoughts and words persisted. 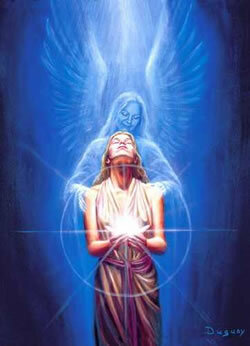 Finally after 3 days of no sleep… at 4am I got up and looked up Lightarian Reiki online. To my surprise… I found that Lightarian is even higher in vibration than Shamballa… in fact, it’s the highest Reiki energy healing available! This caught my attention! I researched this form of Reiki for a while and finally decided to go for it. The attunements and energy that ensued have been the most amazing I’ve ever felt. If you want to open yourself up spiritually… physically… energetically… Then you want Lightarian Reiki!! I was open to all the divine energies, and I was doing healing work.. readings… you name it. But when I started to get attuned to Lightarian Reiki… my whole world changed! I am an empath and I could feel my world before but nothing like this. My healing sessions became incredibly powerful. I started seeing angels, masters, lost loved ones, and they all have messages! The healing has been profound! To say hearts are being healed in record time is an understatement. Readings are much clearer… instant knowing has increased ten-fold! If you can get out of your own way and allow the divine energies into your heart and mind, there is nothing you can’t do. Whatever your mode of healing is.. Lightarian Reiki will add to it in ways you can only imagine. The connections you develop when becoming attuned are like nothing you will ever experience. When I decided to go for Master in Lightarian Reiki, I decided at the same time to also get attuned for the Lightarian Rays, and Angel Links. I wanted to be able to pass on these incredible energies to everyone who is drawn to it. The Lightarian Rays are for more personal transformation. They clear, heal, and propel you forward on your spiritual path and create Divine connections between you and all that is. The Angel Links are very similar in that they create permanent angelic connections between you and many Archangels. These connections within Lightarian Reiki, The Lightarian Rays, and Lightarian Angel Links are permanent and will help you on your spiritual path, with your healing work, and in every area of your life. I was a guinea pig (so to speak) and did all 3 programs at the same time. The attunements were incredible, and spaced as needed, but brought about miraculous healing within me, and in all areas of my life. I have been able to let go of things in my past that had a strangle hold on me. And the opening of my heart, body, mind, and soul has been the most miraculous of all. I am able to help others move forward in their lives.. and give intuitive guidance for their path, as well as bring about inner peace. But let me be clear… I am a channel. Lightarian Reiki and the Rays have helped me to become a pure clear channel for Divine energies to work through me in my healing sessions, readings, and attunements. I cannot take credit for the miraculous transformations. It’s all comes from Above. For anyone wanting to become a Master in Lightarian Reiki…. Lightarian Reiki has been brought forth now to accelerate the healing process for humanity, focusing on expanding your abilities as a Reiki Teacher-Practitioner to channel healing energies of a higher vibrational nature for the benefit of others. Lightarian Reiki was inspired by Ascended Master Buddha and offers you the most potent, effective Reiki healing capability now available. The inspiration and development of Lightarian Reiki began in 1997 via connections with the highest energies of Master Buddha. His Intentions were, and still are, to stimulate self-empowerment of the teacher by keeping the attunement and healing process simple. Therefore, no new symbols are used in Lightarian Reiki. Through intention rather than symbols, the teacher is encouraged to more effectively access the highest vibrational energies of Master Buddha while also tapping into his/her own inner power (Higher Self Connection). The simple techniques of Lightarian Reiki allow the teacher to deliver the highest available healing energies to clients and to provide powerful and effective trainings and attunements to students. The first five Lightarian Rays are a series of guided-meditation attunements… each creating a powerful and permanent connection for you with one of the Masters. Each Ray is an “attunement event” that launches extraordinary “energetic processing” within your chakras, subtle bodies and physical body…creating spiritual, mental, emotional and physical transformation in your life. Once this connection is made, I will work with you energetically “in your etheric background” to support an essential aspect of your spiritual self-development. After receiving the Ray attunements, you will accelerate along your spiritual path perhaps more quickly and effectively…and with more grace and joy… than you would naturally be experiencing! Beyond the first five Lightarian Rays, there is an advanced, ascension-focused attunement called the Source Ray…a connection with the energies of our Universal Source. The first five Rays (with their focus on stimulating spiritual processing) serve as an “energetic platform” and prerequisite for the Source Ray, which creates a dramatic leap to a new vibrational connection with even higher levels of divine energies. The five Lightarian AngelLinks are designed to create extraordinary connections for you with a high vibrational team of angelic beings that we call the “A-Team.” This “team” consists of a Seraph (named Rose Aura) and four Archangels (Michael, Raphael, Uriel and Gabriel). 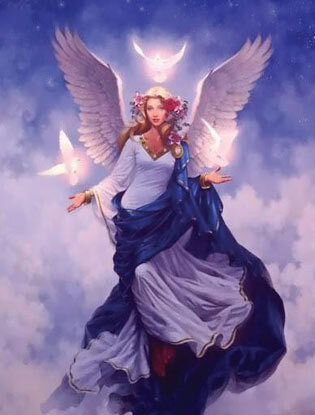 The AngelLinks have been inspired by Seraph Rose Aura and these Archangels in order to directly and more strongly work with humans to advance their spiritual development. Their intentions are to infuse into the energy fields of humans many of the qualities and energetic patterns which they embody. With all the discussion about Lightarian Reiki and personal transformation, I wanted to write about this incredible level of Energy Healing. If you are drawn to Lightarian for Reiki… the Rays.. or Angel links.. and have any questions.. please feel free to contact me at any time. I offer Lightarian Reiki classes in Massachusetts and remotely. I would love to share this blessing with you. There are many groups all over. If you check Meetup.com Im sure you will find what you’re looking for. If you are local, I hold classes and discussions with a great group of individuals that create a beautiful energy! !